To Cambodians, it’s abóbora. Koreans call it danhobak. In Thailand, it’s fak thong, while Aussies and Kiwis refer to it as Japanese squash. And in Japan, it’s known as kabocha. Personally, I don’t care what you call this squat, mottled green, winter squash – just make sure you save me some because it’s my favorite kind. 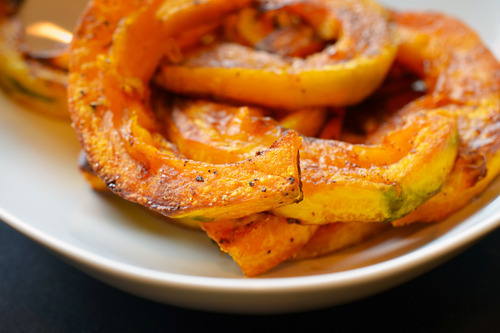 If you’re getting tired of butternut squash, try kabocha. It’s available year-round; pick a heavy one at the market and plop it on your kitchen counter. Don’t be all superficial and choose one that’s super green and shiny. 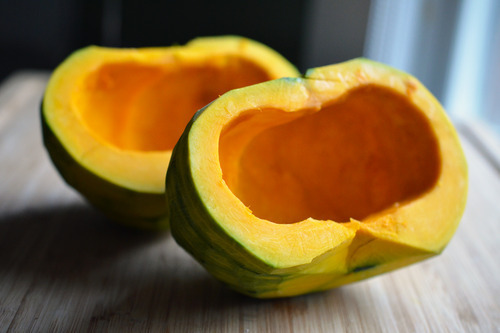 Unlike a lot of other vegetables, kabocha squash tastes better with a little age and it’ll last for weeks without the need for refrigeration. When you’re ready to cook, make sure you have a sharp knife and strong arms, because cutting into this hearty (and hardy) squash isn’t easy. 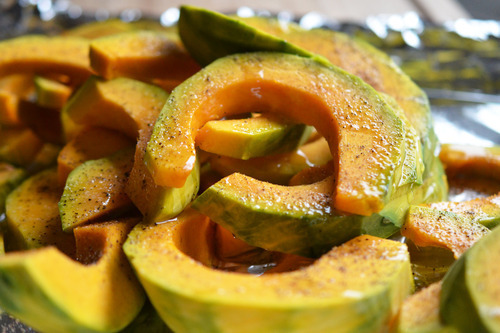 Peeling the squash is optional because the skin is edible. Sometimes I do, and sometimes I don’t. 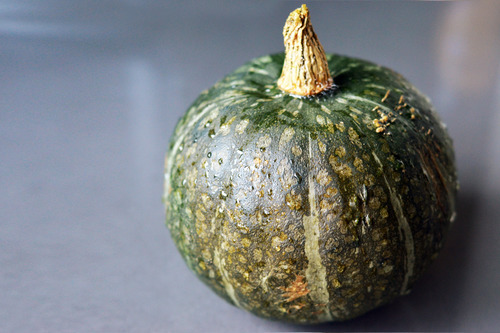 Once you breach the kabocha’s tough green skin, you’ll discover a bright orange interior that – when cooked – yields a flavor profile that’s nutty and sweet, with a texture that’s lighter and fluffier than baked yam or pumpkin. Across the globe, you’ll find kabocha used in cold-weather stews and soups like hobakjuk (Korean kabocha porridge). In my pre-paleo days, I always hoarded the crunchy kabocha slices from the tempura platter and savored them last. 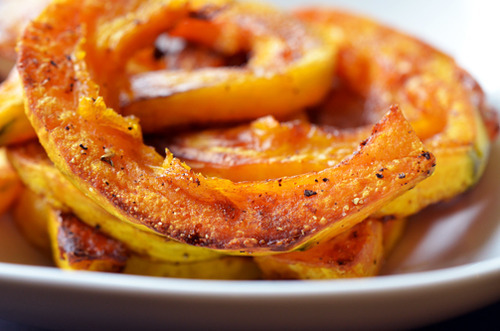 These days, I prefer my kabocha sliced and roasted. Most evenings, I’m rushing like mad to get dinner on the table, so I’m all for drop-dead simple recipes. But more importantly, these crunchy wedges are deliciously sweet right out of the oven. (Feeling fancy? You can always add a drizzle of aged balsamic vinegar, too). I love that there’s an inverse relationship between the amount of time I put into prepping this recipe and the amount of enjoyment my family derives from it. Alright, peeps – we have just five days left in the January Whole30. How’s the tiger blood treating you?